The Casio Celviano GP400 Celviano Grand Hybrid Digital Piano is made with 88 full-length, wooden keys for complete authenticity. Capable of producing the most subtle nuances of the world's most respected pianos, this revolutionary new model from Casio gives you an experience that goes far beyond playing piano. The tonal possibilities are endless with the GP400, thanks to the 35 built-in tones including Berlin Grand, Hamburg Grand, Vienna Grand and many more. The Casio Celviano Grand Hybrid delivers endless possibilities and outstanding performance, perfect for even the most traditional and discerning pianist. Casio's new AiR Grand Sound Source provides not just one, but three of the world's finest grand pianos. Dubbed the Berlin, Hamburg and Vienna Grands, each one is the result of countless hours of precise analysis and study of their unique characteristics; resulting in faithful and expressive reproductions of these distinctive pianos. The Berlin Grand produces a balanced, elegant sound that's ideal for playing impressionistic music. 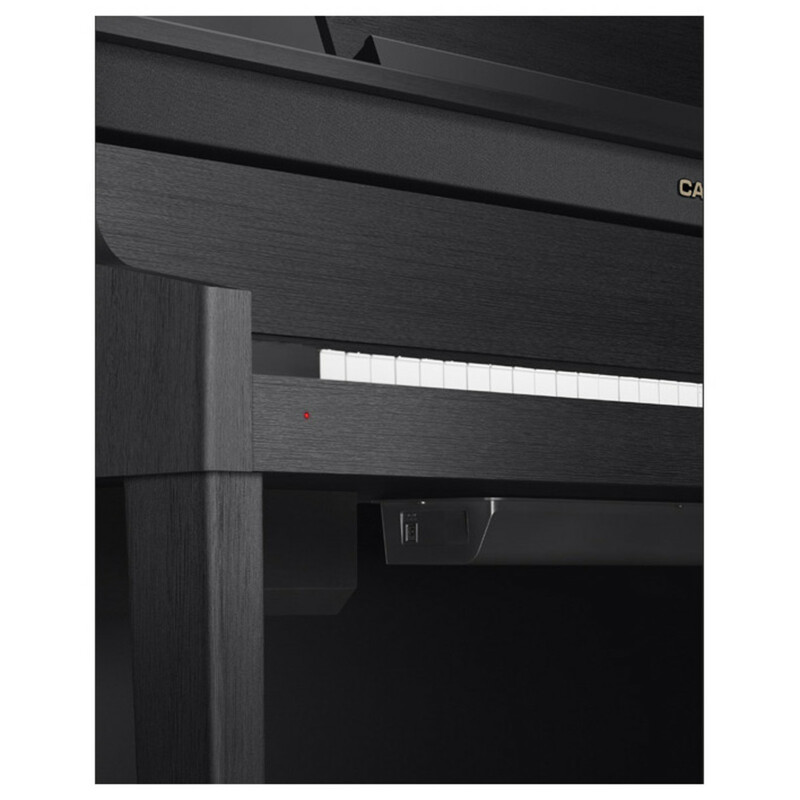 The Hamburg is loved by pianists for its wide range of expression, delivering a brilliant and rich sound this piano is well suited for various playing styles and genres. Finally, the Vienna Grand is noted for its impressive low range, great for both soft and vigorous playing, an ideal instrument for classical music. From the moment your hands first touch the keys, the Grand Hybrid delivers the authenticity your performance demands. 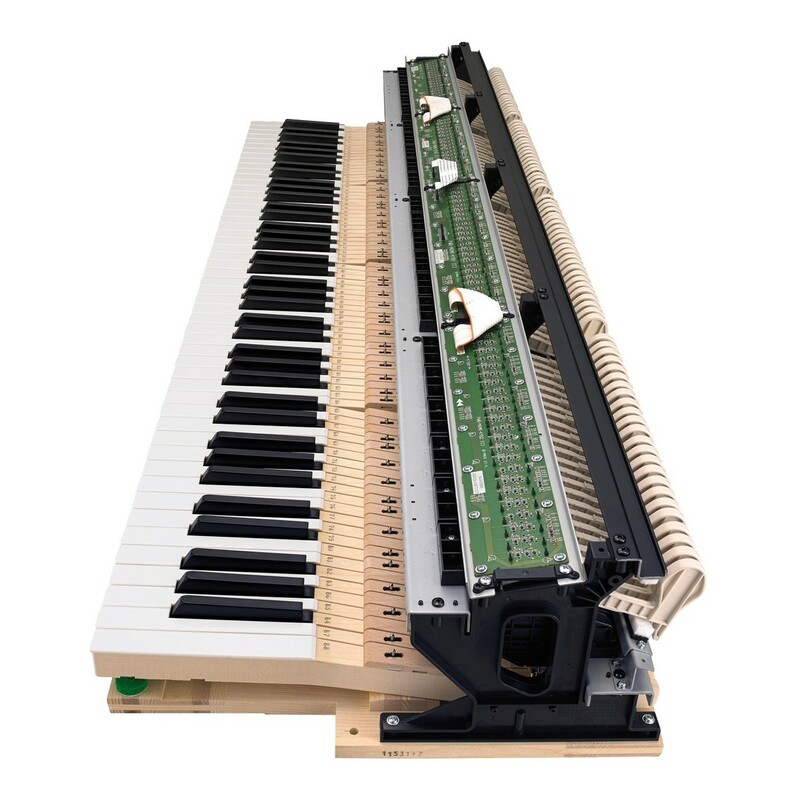 The new natural grand hammer action keyboard is constructed using full-length wooden concert grand piano keys, with the same materials and processes as the C. Bechstein concert grand pianos. Each keypress sends a hammer along the same vertical path as a grand piano, with the same essential weighting and pivot points creating an expressive and uncompromising piano touch. Complete with acrylic white keys and phenol black keys, the GP400 feels familiar to play and ensures you feel comfortable during every performance. Using an exclusive six-speaker amplification system, the new Grand Acoustic System reproduces the three-dimensional sound field generated by an acoustic grand. The top speakers present sounds normally heard rising upwards, and the downward-facing speakers present sounds heard from below the soundboard. This simulation fills the room with rich, complex sound, reaching both the performer and the audience. The GP400 features twelve types of Hall Simulators; each one based on careful analysis of the acoustic characteristics of a world-famous concert venue. Each space has a total of four Listening Position settings. For example, the you can simulate the experience of hearing the piano from a seat in the audience, as opposed to the playing position, allowing you to hear your music from a whole new perspective.